Leah Sarson is an assistant professor at Dalhousie University, where her work explores Indigenous global politics in the extractive resource sector. Her broader research interests focus on Canadian foreign policy, International Relations, gender, and the Arctic. Prior to joining Dalhousie, she was a Fulbright researcher and SSHRC post-doctoral fellow at Dartmouth College in Hanover, New Hampshire, where she remains a fellow at the Dickey Center for International Understanding and a visiting Arctic fellow at the Institute of Arctic Studies. She completed her PhD in Political Studies in December 2016 at Queen’s University in Kingston, Ontario, where she is also a fellow at the Centre for International and Defence Policy. Dr. Sarson holds additional positions at the Bill Graham Centre for Contemporary International History at the University of Toronto and the Canadian International Council. 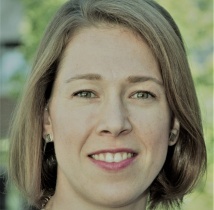 She is a member of the board of directors of Women in International Security-Canada and has held professional positions at the Asia Pacific Foundation of Canada and Global Affairs Canada, among others. Sarson, Leah. 2017. “La spécialisation disciplinaire et professionnelle basée sur le genre en Relations internationales.” Études internationales 48.1: 83–104. Follow Professor Sarson on Twitter @LeahSarson.